Used has broken tabs and seal coming loose, see pictures. AlpinePerformance.com specializes in new and used take-off OEM original factory Bentley parts. We buy sell & trade OEM Factory Wheels & Used Bentley Parts. We carry various OEM parts: rims, bumpers, fenders, exhausts, body kits, fenders, grills, hoods, engines, transmissions, doors, trunks, hoods, factory seats, consoles, radios, dashboards,headlights and tail lights. Offering our customers factory auto parts & wheels packages at a fraction of the market price. We don't sell many aftermarket parts. If we have aftermarket products they are clearly labeled as aftermarket. So you are buying original take-off parts, removed from the original factory vehicle. We do not sell replicas. * Get it now at a fraction of the dealers price! Most pictures are ACTUAL PICTURES - not a “file-photo.” Check all photos and contact a dealer for exact parts numbers. 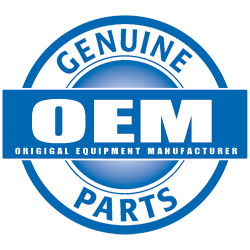 Most items we sell are GUARANTEE factory OEM parts. You are buying original take-off parts, removed from the original factory vehicle. We do not sell replicas. If we have aftermarket products they will be clearly labeled as aftermarket. The term “aftermarket” is often used for non-OEM spare parts. Copyright © 2018, AlpinePerformance.com All Rights Reserved.